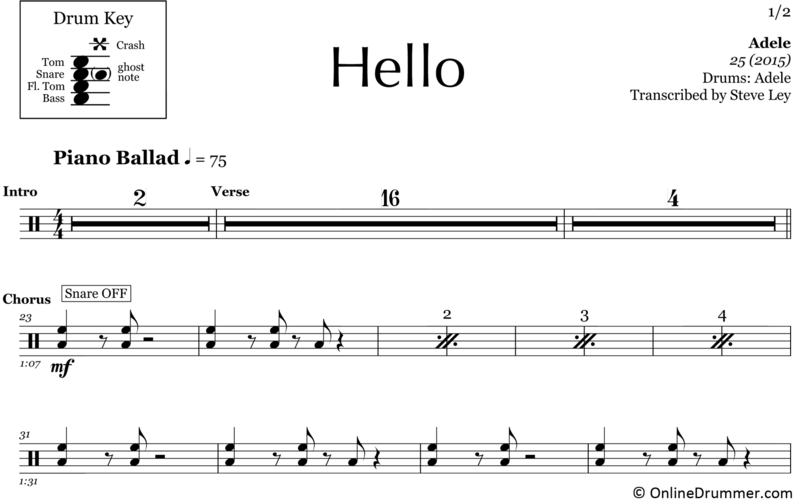 The full drum sheet music for “Hello” by Adele from the album 25 released in 2015. 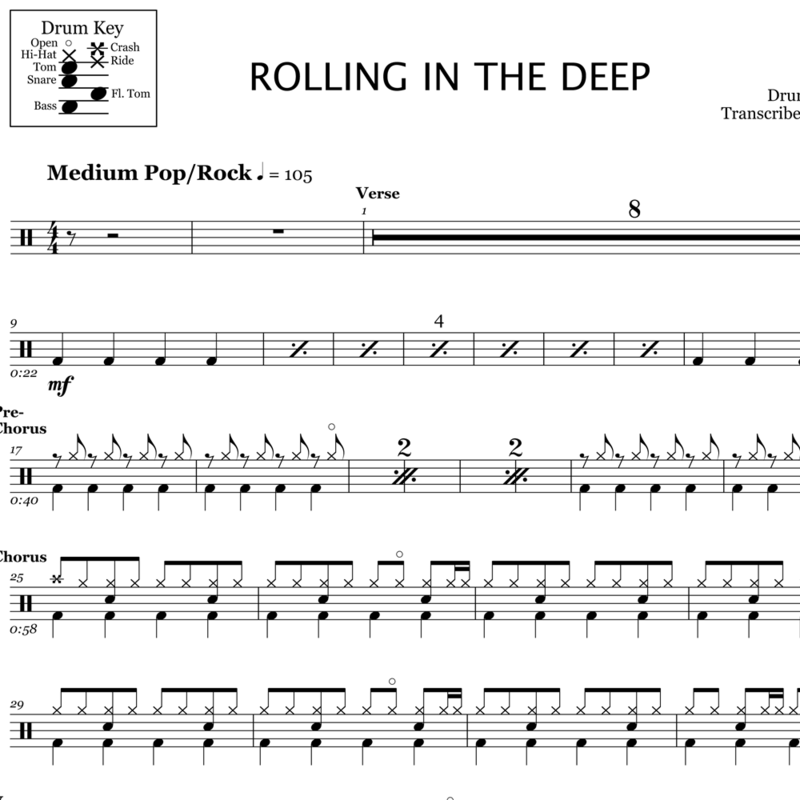 Whip out your mallets and join the percussion ensemble with this adaption meant for drum set. This is a dynamic piece with a lot of flavor. For the first part of the song, the snares are off and re-engage for the final chorus.